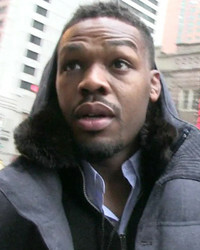 Jon Jones, a.k.a. 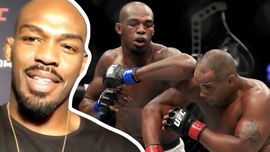 Jonny Bones, is a mixed martial artist and former UFC Light Heavyweight Champion. At age 23, Jones became the youngest UFC champion in history in 2011. To provide for his new family, Jones left junior college wrestling at age 20 when he found out he was going to be a father. He began competing in the MMA to make a living and won a life changing fight the day his first daughter was born. 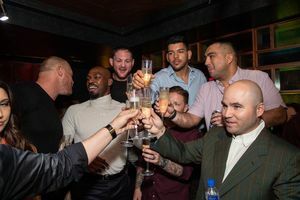 Soon after, Jones was offered a contract to join the UFC. He was born on July 19, 1987 and lists Rochester, NY as his hometown. Following in the footsteps of their dad, Jones first hit the wrestling mat in 7th grade with his older brother Arthur, an NFL star who has played for the Baltimore Ravens and Indianapolis Colts. Jones is engaged to high school sweetheart Jessie Moses. The couple has three daughters together, Leah (born in 2008), Carmen (born in 2009), and Olivia Haven (born in 2013). He divides his time between his training site in Albuquerque, NM and his family’s home base in Ithaca, NY. Jones was arrested in March 2016 for violating probation in Albuquerque. He reached a plea deal for a felony charge for leaving the scene of an accident, resulting in a probation sentence. UFC stripped him of his championship title as punishment for his actions. Amanda Nunes Is She-G.O.A.T. ... 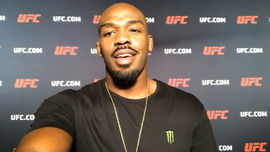 Better Than Jon Jones? 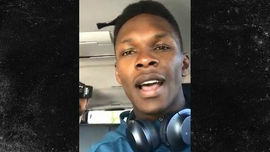 UFC Star Wants To Fight In The TMZ Newsroom!